Overview 3% of population have renal stones. 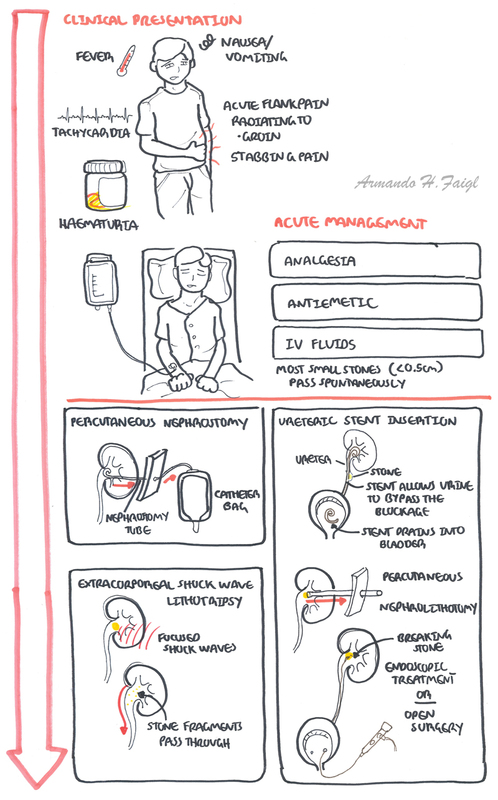 Renal stones is the commonest reason for emergency urological admissions. Its peak presentation is during the summer months (dehydration). 90% of urinary calculi are radio-opaque and so are able to be visualised through imaging. Nephrolithiasis: Refers to the condition of having stones (calculi) in the kidney or collecting system. Calcium oxalate Hypercalciuria, hyperoxaluria, hypocitraturia, and dietary risk factors such as a low calcium intake, high oxalate intake, high animal protein intake, high sodium intake. Uric acid Gout and diseases involving rapid cell turnover, such as leukaemias, lead to ­ uric acid à uric acid stonesA low pH favours (chronic diarrhoeal states, gout, diabetes, obesity). Magnesium Ammonium Sulphate (Struvite) Persistent alkaline urine due to an UTI (Proteus or Klebsiella). Common Risk Factors Low fluid intake, previous nephrolithiasis, Family Hx of nephrolithiasis. Side note Struvite staghorn calculi classically present with recurrent UTIs. FBC and differential – Raised WBCs may suggest pyelonephritis/UTI/pyonephrosis (infection above obstructed stone). Include sodium, potassium, chloride, bicarbonate, creatinine, urea, calcium, uric acid, and phosphorus. Renal stones are crystalline mineral depositions that form from microscopic crystals in the loop of Henle, distal tubules, or the collecting duct. Elevated levels of urinary solutes such as calcium, uric acid, oxalate, and sodium. Decreased levels of stone inhibitors such as citrate and magnesium. Abnormally low or high urinary pH. All of these can lead to urine supersaturation with stone-forming salts and subsequent stone formation. Calcareous stones account for more than 80% of stones. Uric acid stones represent about 5–10%, trailed by cystine, and struvite. 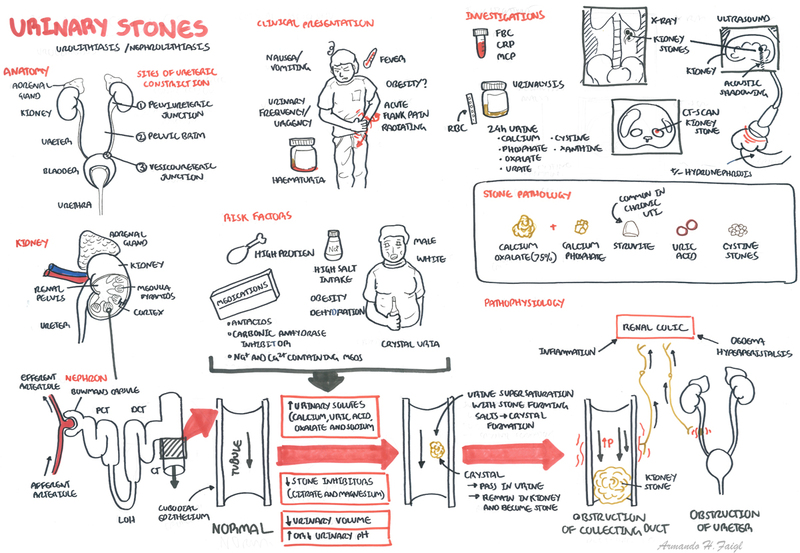 The driving force behind stone formation is the supersaturation of urine. 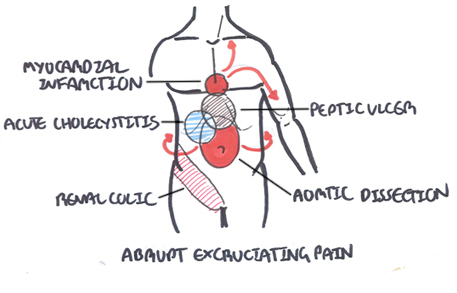 Ureteric colic from nephrolithiasis is secondary to obstruction of the collecting system by the stone. If the stone is sharp or larger than the normal lumen of the ureter (approximately 3 mm), it causes excessive distension of this muscular tube. The stretching of the collecting system or ureter is due to an increase in intraluminal pressure. 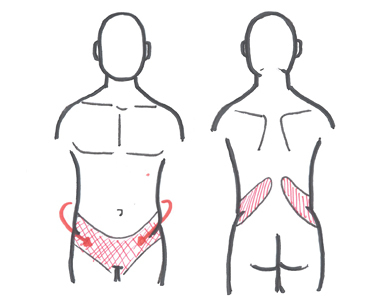 This causes nerve endings to stretch and therefore the sensation of renal colic. The pain is referred to the cutaneous areas innervated by spinal cord segments and sensory ganglia, which also receive visceral afferents from the ureter, mainly T11- L2. A stone in the upper ureter typically causes pain in the loin, while a stone in the lower ureter typically causes pain in the loin and iliac fossa, with radiation to the testis or labia, or groin. The pain passes inferoanteriorly “from the loin to the groin” as the stone progresses through the ureter. 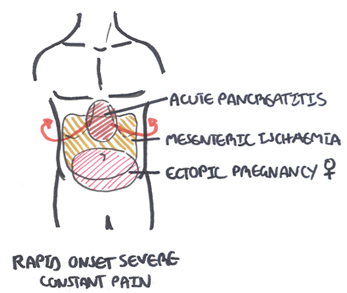 Pain can also be due to local inflammatory mediators, oedema, hyperperistalsis, and mucosal irritation. It is not necessary to treat every kidney stone. As a rule of thumb, the younger the patient, the larger the stone and the more symptoms it is causing, the more inclined we are to recommend treatment. Percutaneous nephrolithotomy is the removal of a kidney stone via a ‘track’ developed between the surface of the skin and the collecting system of the kidney.